Before Michelle and I went on vacation we noticed that our little buddy, Mr. Finnegan (our 3 year old ferret) had lost a lot of weight and some of his hair had been falling out. We left him in good hands when we went away. Returning, we have had to feed him by hand every day, and he is starting to regain some weight. So far has regained half the weight he has lost, we are waiting to get him in for an ultra sound to determine what is wrong. Most likely he has a tumour on one of his Adrenal glands, this will require surgery. For us it has meant that we are not able to leave for very long as he needs to eat every 4 hours or so, WITH the exception at night when they sleep for 7 or 8 hours like we do. Last night Michelle and I decided to get out and fish a body of water North east of Halvelock. 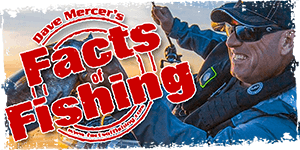 We know there is a good Walleye population, but due to boat traffic and high fishing pressure fishing the normal period of dusk to dawn can be fairly unproductive. We left Hamilton just after 8, our little guy was feed and sleeping when we left. We had a good 3.5 hour drive. shortly after 12:00am we arrived. It was an incredible night, not a cloud in the sky, the thermostat in my car said 12 degrees and the water was flat, not a ripple. We could hear some fish jumping and every few minutes a shrill of the loon would echo down the river. With in the first 5 minutes I landed a little dink about 10", he was obviously confused about his identity as he thrashed around on the surface, more like a small mouth then a walleye. About 10 minutes later, Michelle's drag explodes, 5 minutes later she has a nice 34" pike on its way. Once we caught and released the pick the number and quality of hits really picked up. I was casting a shallow running Shad imitation when I felt a distinct thump. a few small runs and I had a nice 24" Walleye. By this time it was 3:00am and time to leave. We will defiantly do this again. Next time we will be better prepared. We had forgotten our head lamps at home. If it wasn't for the bright moon, we probably would not have been able to fish. As well we had the flash on the camera suppressed, figuring this out in the black of night was too difficult and explains the lack of pictures. On the way home, we saw to really big Bucks, both out by the side of the road. We also saw several foxes and a porcupine that was walking right down the yellow centre line.